This week’s item is a horseshoe. 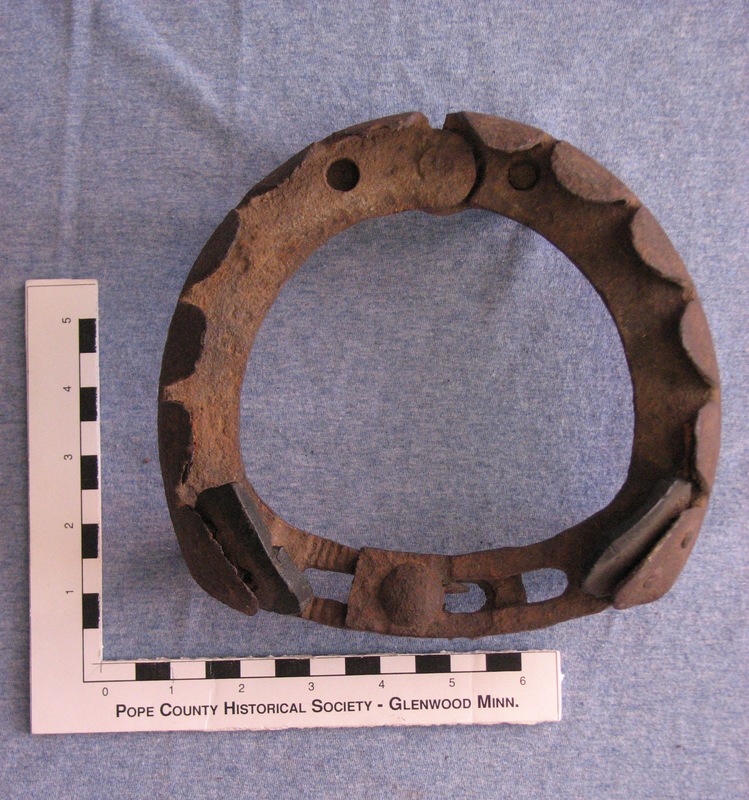 This horseshoe cushioned in rubber was clamped on the horse’s hoof and advertised to outlast an ordinary shoe 120 times. It is adjustable. 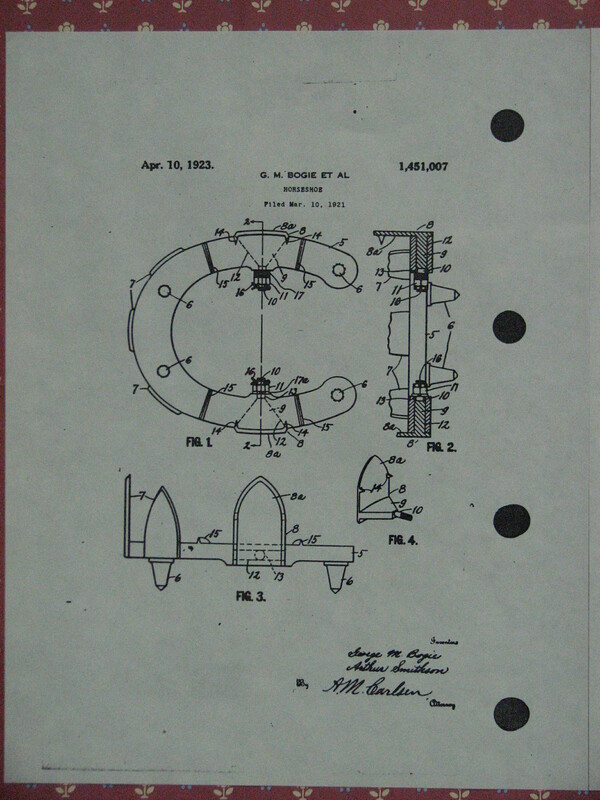 It is one of many inventions by Mr. Aurthur Smithson, a blacksmith in Glenwood. 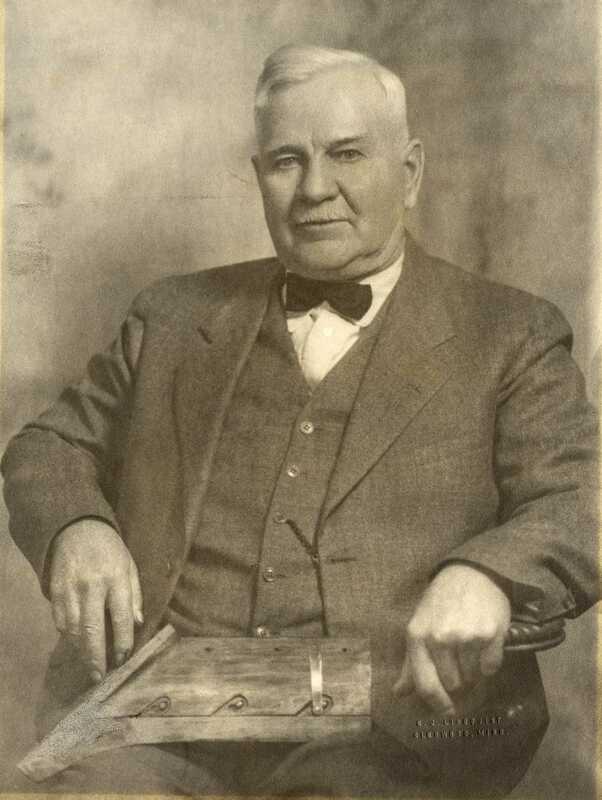 Smithson came to Pope County in 1894 when he built his own blacksmith shop in Sedan where he lived for 6 years. In 1890 he moved to Brahm, Minnesota then returned to Pope County in 1904 when he moved to Glenwood. He worked in a foundry and iron worked factory, operated a Horse Shoeing Shop and was known as an inventor. His inventions included a horse-drawn wagon box with short turning wheels, self cleaning garden rakes, detachable plowshares and the pontoon boat. 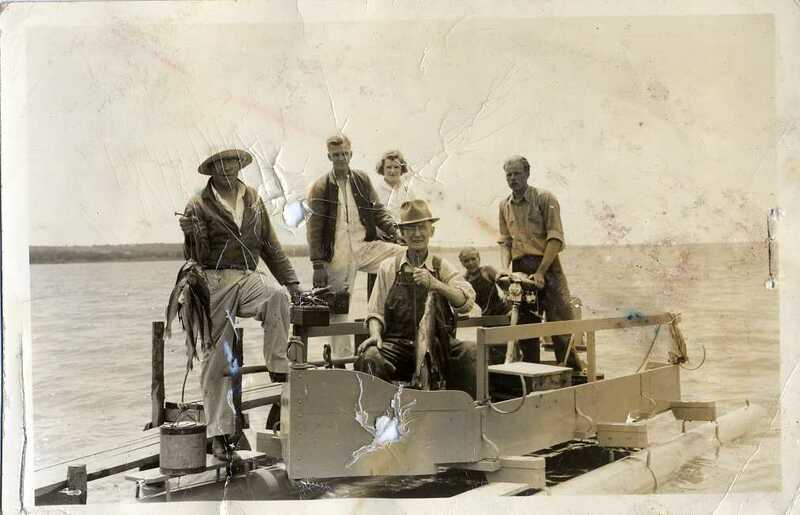 Yes – the pontoon was invented right here in Pope County in 1939. 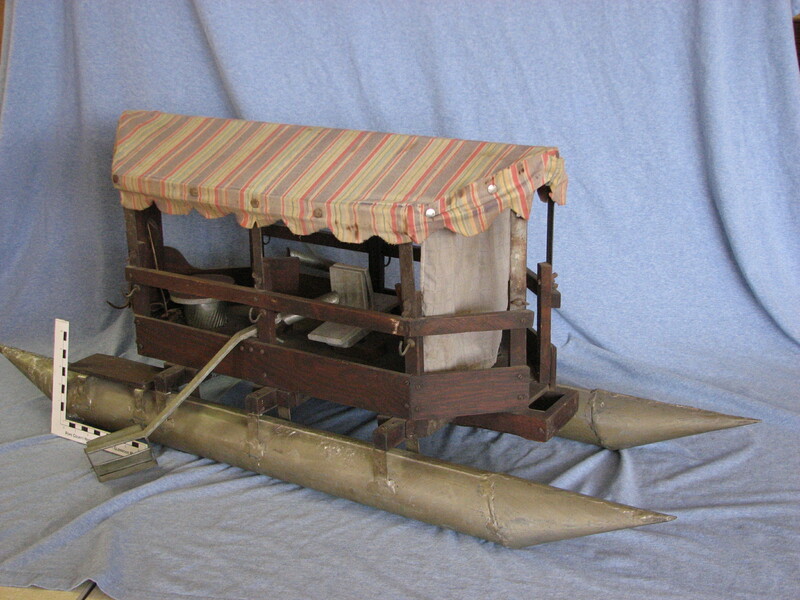 Smithson’s Pontoon boat – invented in 1939. The November 30, 1939 issue of the Glenwood Herald ran an article generating excitement about the new invention, which had recently been advertized on WCCO radio. There were 2 models – a seven passenger and a 3 passenger. He advertized that he could custom make larger ones for resorts and clubs. We have his scale model for the seven passenger pontoon here at the museum. A photograph of Art Smithson’s pontoon on Lake Minnewaska ran in the Glenwood Herald in 1945. 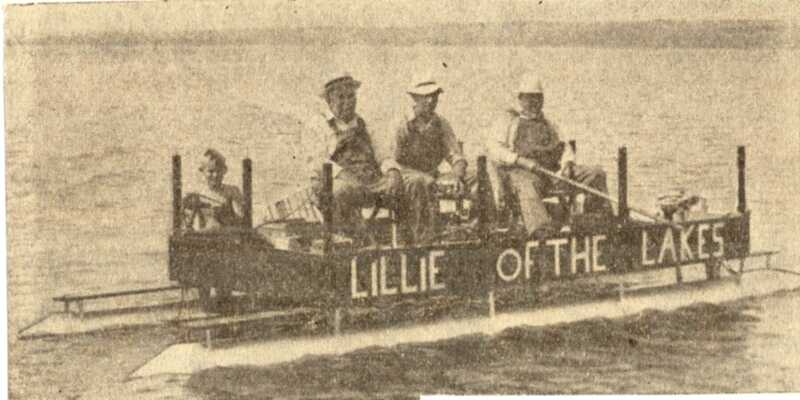 Unfortunately, the idea didn’t catch on at the time despite the fact that his boat “Lillie of the 10,000 Lakes” was safer and more efficient than standard boats. This entry was posted in Collection Notes, Local History and tagged 000 Lakes, A-Z, Art Smithson, Glenwood, Lillie of the 10, Lillie of the Lakes, Minnesota, Pontoon, Pope County Minnesota, Pope County Museum. Bookmark the permalink.